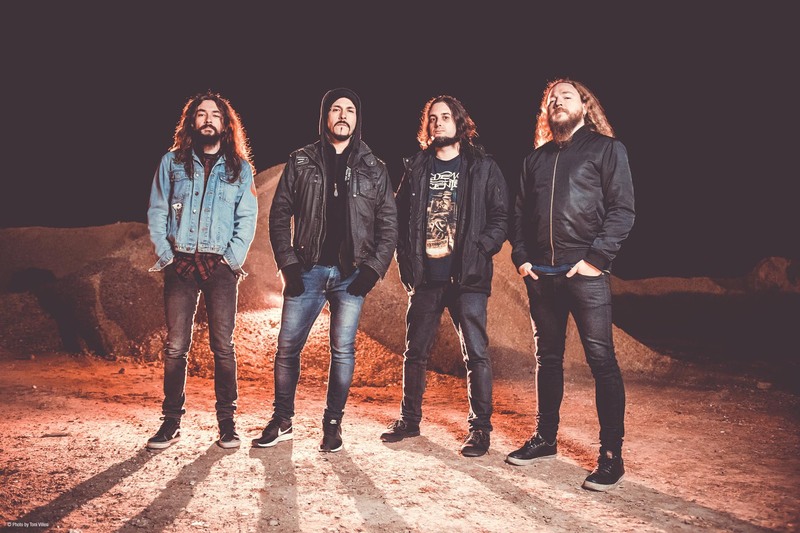 Aside for Barón Rojo and a few other names, Spain doesn’t exactly have a particular tradition of revealing metal bands. But if anyone is up for the task of breaking that trend, it is Angelus Apatrida. Formed in Albacete in 2000, they are about to release their new effort, Cabaret de la Guillotine. A promising album, with potential to catapult them into the next level. Having other five albums under their belt, it’s palpable how everything is brought up a notch with this new release. From the production to the cover, the end result of one year of preparation is state-of-the-art metal, while forging ahead and treading new ground. By letting the compositions breathe during lengthy periods of time and self producing the album, they managed to create fresh-sounding material that will appeal to the older generation that grew up with Saxon and Motörhead, but also to younger fans on a diet of Avenged Sevenfold and Five Finger Death Punch. The noticeable attention to detail starts with the exquisit and gory cover. Drawn by Hungarian artist Gyula Havancsák, it shows a bloodthirst crowd enjoying the use of the guillotine in a French “carré“. Gyula is no stranger to working with metal bands, having also drawn the cover of their previous album Hidden Evolution and also worked with Annihilator and Destruction. The album starts with an acoustic intro, and the listener is soon presented with a barrage of riffs and double bass drums, on the great opener “Sharpen The Guillotine”. The influence of the early days of the Bay Area thrash scene is evident. “Betrayed” comes next, with singer Guillermo Izquierdo channeling his inner Dave Mustaine with multi-layered vocals. Guillermo once again impresses with his versatility on “Ministry of God”, where he sounds more like Exodus’ Paul Baloff. Dissonant riffs soar high on this track, and Victor Valera’s drumming is as precise as it is dynamic. On the metal groove of “The Hum” they wear their Pantera influences on their sleeves, with catchy hooks and crispy guitars. Lyrically, Cabaret de la Guillotine does not disappoint either. Izquierdo’s observations, cultural interests, and his Spanish heritage resulted in a wide array of personal accounts on dictatorship, injustice, fascism, corruption, and censorship, albeit with a sense of hope for a better tomorrow. Great examples can be heard on “Ministry of God” and “Farewell”. Track number five “Downfall Of The Nation” begins with a djent-styled riff and mixes fast-paced thrashy moments with more cadenced licks. Played at breakneck speed, “One Of Us”, the shortest song in this release, is almost like Metallica‘s Motorbreath for the new millennium, with high-soaring vocals and thunderous drum parts. And just when you think you’ll get some breathing time, “The Die is Cast” comes through the speakers, with even faster verses, but this time with a sing-along chorus. Many thrash bands have been guilty of focusing too much on adding weight, to the point where there’s no room for melodies. Angelus Apatrida on the other hand, have a colorful palette to draw from, and that is certainly clear on “Witching Hour”, where José J. Izquierdo’s heavy bass playing takes the forefront. And as if to stress their expanded dynamic range on the album, the single “Farewell” is a dramatic change of pace. Quiet, melodic but powerful, this song is full of feeling and is dedicated to a fan of the band named Alberto, who passed away due to cancer. With the many twists and turns of “Martyrs of Chicago”, the album is closed on a very high note, and shows a band oozing with confidence, proud of their heritage and ready for a bigger step in their career. 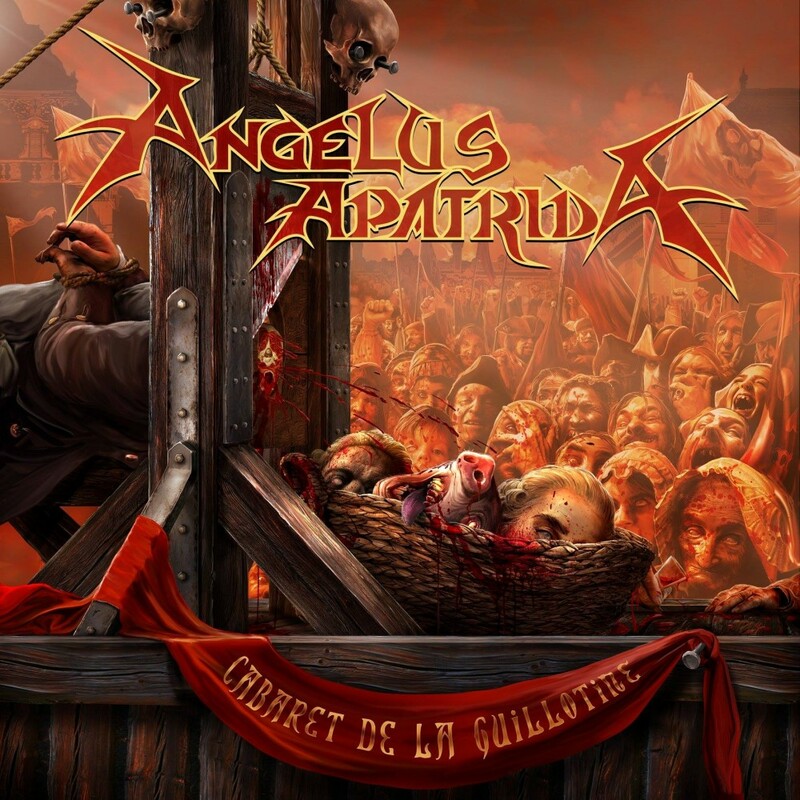 A solid and cohesive release, Cabaret de la Guillotine will hopefully propel Angelus Apatrida towards the upper echelons of modern thrash metal. The songs here are a testament of how these Spaniards are worthy flag-bearers of a genre whose main exponents are way past the halfway mark of their careers. Their sound is undeniably shaped by their love of 80’s thrash, and yet has a unique quality to it. These aren’t copycats – they are the guys who will take their influences to the next level, and lead the way for heavy music in the upcoming decades. “Cabaret de la Guillotine“ displays Angelus Apatrida’s mature and fresh songwriting, and it's impressively consistent and cohesive. While they are still forging the identity of their sound, what is shown here is rather promising. From a production standpoint, the drums are somewhat loud in the mix, and the bass is sometimes buried under a barrage of guitars. Put this album on and get ready for an irresistible urge to headbang!